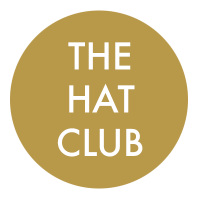 The Hat Club is able to offer any advice to overseas visitors requiring assistance with the Royal Ascot dress code, or indeed at any UK racecourse. We can also reserve hats for international visitors to collect on arrival or courier to their hotel. If you are lucky enough to be attending an event such as the Dubai World Cup, Kentucky Derby, Prix de L’Arc de Triomphe or Melbourne Cup please do not hesitate to contact us with regards to dress codes, our hats are happy to travel!